Clippit lets you clip and share live moments from TV shows currently on the air using your phone or tablet. 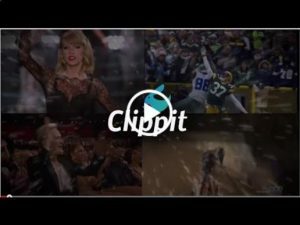 With Clippit it’s as easy as finding the show, movie or sports event that’s live on TV, choosing what content you want to clip and sharing it with friends, family or your community on social media including Facebook, Twitter, and Reddit. Join the Clippit community and start sharing live TV moments, up to 30 seconds, and discovering shows in clips created by others. See what’s popular, trending or new and favorite the ones you like. Create: If it’s on TV, you can clip it! Just search for any TV show, movie or event that’s currently on the air, select up to 30 seconds and create your clip. Share: Publish your created clips for the world to see. Just pick one of your clips, add a caption and share it via Twitter, Facebook, Reddit or everywhere. Discover: Clippit allows you to find and enjoy shows via clips created and shared by other users. Discover what’s new, trending, most popular, or filter by genre. Easy: Sign-up easily using your Twitter, Facebook or email. You’ll be clipping in no time! Love using this app! Would like to see a way to easily make a clip into a gif for social media. This is a great app. Very clever and extremely easy to use. However, when you share the clips to Facebook or Twitter, the videos aren’t able to stream natively. People have to navigate to clipit’s site to watch the video. It would be great to see that feature added in a future update. This app is brilliant, quite simply original and intuitive and fun and inherently share-able. It truly does deserve more downloads than 10 thousand! It adds flavor to my Twitter account by spicing it up with amazing clips!